In case you’re wondering, there are many runners who’ve hit 1,000 miles a lot quicker than I did, but this in no way affects my enthusiasm for the accomplishment LOL! Prior to that day in May, I HATED running and I only did it when I was in a soccer game or being chased. Or maybe if I’d eaten way too much junk food and needed to sweat it out of my pours. And even then I only ran on the treadmill. But that day in May it was one of the first perfect spring days of the year. I’d decided to go for a walk and as the movement invigorated me, I had the urge to feel physically exhausted the way you do when you’re a kid and you play too hard. So I started to run. I went just over four miles. No lies it was awesome, but it was also freaking hard. I don’t really know what changed for me that day, but since then I’ve stuck with running. I’ve had periods where I’ve wanted to run and couldn’t. I’ve had sick kids at home or I’ve been injured. I’ve also had periods where I haven’t been very motivated to get out–too hot, too cold, too sick, too lazy, too busy making up excuses. But no matter how much I was running, I’d flipped a mental switch and now considered myself A RUNNER. Maybe a lazy runner on some days, but a runner none the less. 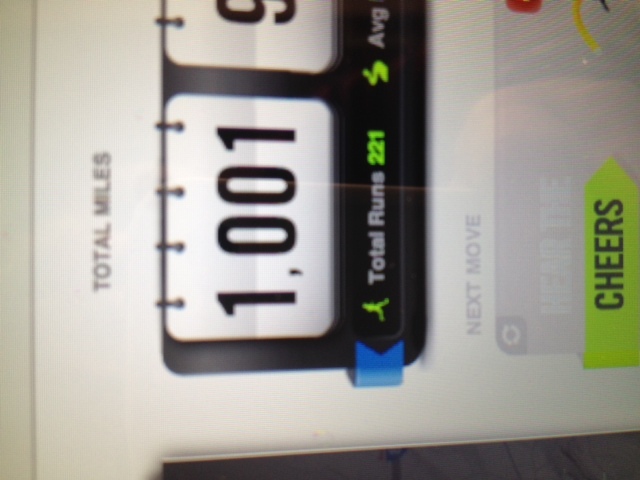 *I’ve run 1,001 miles. Which means I ran far enough to go from New York City to St. Louis!!! Yes, it was a long way to travel because I’ve been doing it since May 21, 2010. Whatever. Stopped to see the sights. But hey–technically I ran to my niece and nephew’s house. I find that mind blowing since I would normally take a plane there. 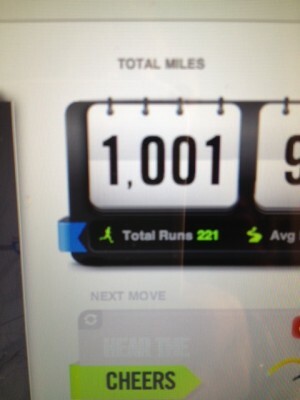 *I’ve run those miles across 221 runs. *This also means I’ve spent almost 164:46:10 hours of the last 3 1/2 years running. Kinda cool. 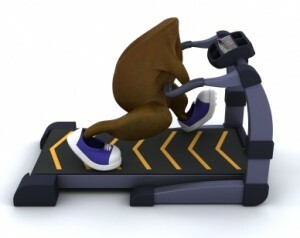 *I’ve burned 100,060 calories running. Most of those were chocolate–I can not lie. *My average pace was 9 minutes and 53 seconds for each mile. I’ve had many slower, but I’ve also had some much faster. *Only 160.91 of those miles were on the stupid treadmill. Hate running indoors, so I only use it when I have to because of the weather. *75% of my runs took place in the morning. *My longest run was 12.08 miles. *I’ve never officially run in a race. Can you tell I was excited to smash this run??? 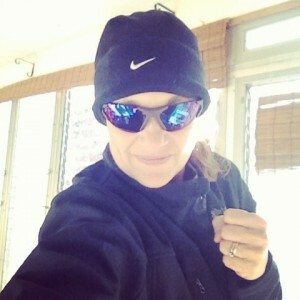 And yes, I look like a bank robber because it was 27 degrees LOL! Thanks for letting me hog the blog for a glory moment. Any runners in the audience? Any potential runners? Anyone who’s fallen into a passion they hadn’t expected? How did you get there? What keeps you doing it? What’s your biggest milestone been so far? How are all my #NaNoWriMo friends doing? I’m racing towards the finish line and plan to hit the 50,000 word mark no matter what. Keep it up everyone!!!! Also, I’m doing Turkey Day at my house this year, so I won’t be running on Thursday or blogging. I’ll catch you on the flip side of the tryptophan on December 3rd. WHAT???? DECEMBER??? How did that happen???? Have a fabulous holiday with your friends and family.